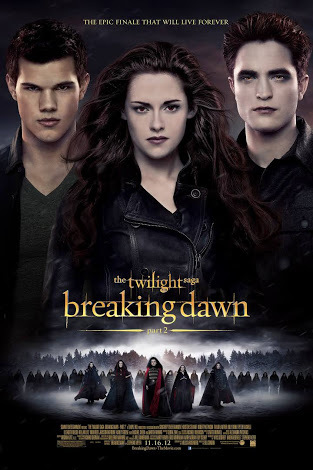 The final Twilight Saga begins with Bella now a vampire learning to use her abilities. And happy to see her daughter, Renesmee is flourishing. But when someone sees Renesmee do something that makes them think that she was turned. This person goes to the Volturi, because it is a violation to turn a child. And the penalty is death for both who turned the child into a vampire and the child, cause they deem a turned child too dangerous. Alice gets a vision of the Volturi coming after them. So the Cullens try to convince them that Renesmee is not a threat. So they ask friends and family to come stand with them. But when someone who has it in for the Volturi shows up and tells them they should be ready for a fight. And they get ready.